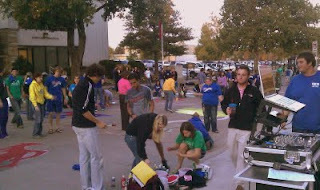 For the last six years, we have provided DJ services for the annual street painting competition as part of the University of Tulsa Homecoming week. Each year student teams compete in a variety of events for points. 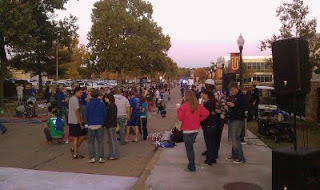 The entire week culminates to a grand prize announcement at the Bonfire and pep rally held on the U. Until next year, we'll be looking forward to it!